I recently had the privilege of helping put together a shower for my cousin Jeff’s fiance Kate. We were thrilled to host a shower in the summer months and decided to keep the day bright with a summertime lemonade themed shower. With lemons everywhere, from the tables, to the favors, to the drinks, we all enjoyed entering into summer with a wedding celebration. 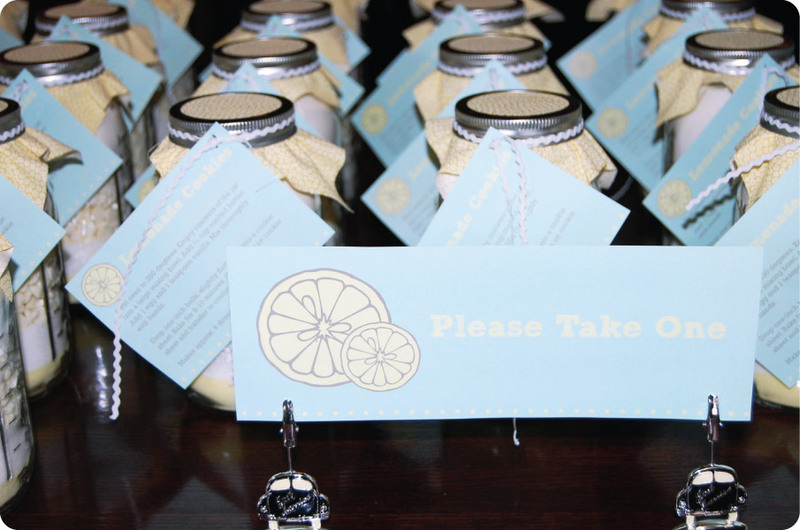 The invitations, designed by myself, started off the lemon theme. (These invitations and party printables can be purchased in my Etsy shop, Morning Star Designs!) 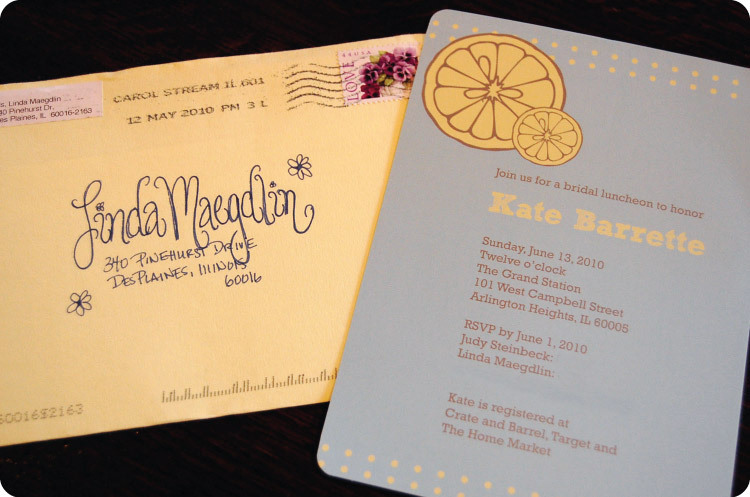 The invites were mailed in a soft yellow envelope and addressed by the fun penmanship of my sister Lindsay. Each table centerpiece used a clear glass vessel, including a pitcher, cake plate, bucket and bowl. 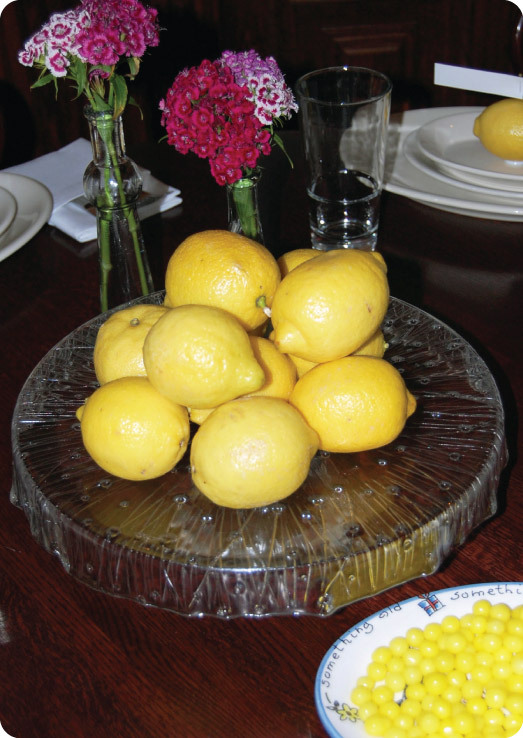 Lemons, purchased in bulk from CostCo, were placed in each centerpiece alongside small bunches of Sweet William flowers, from a local farmer’s market, in clear glass cruets. 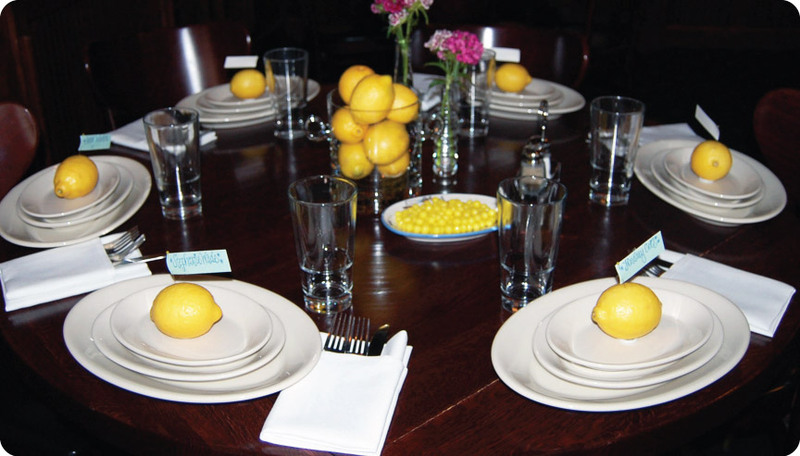 Each place setting held a simple lemon with a stick pin flag name tag. 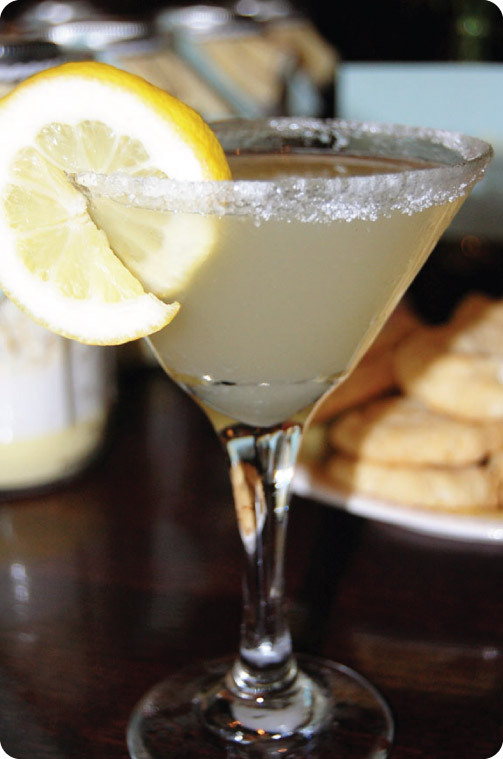 The ladies sipped on lemon drop martinis and vodka lemonades. Names were drawn periodically throughout the shower, with the winners picking from a variety of lemon themed door prizes. 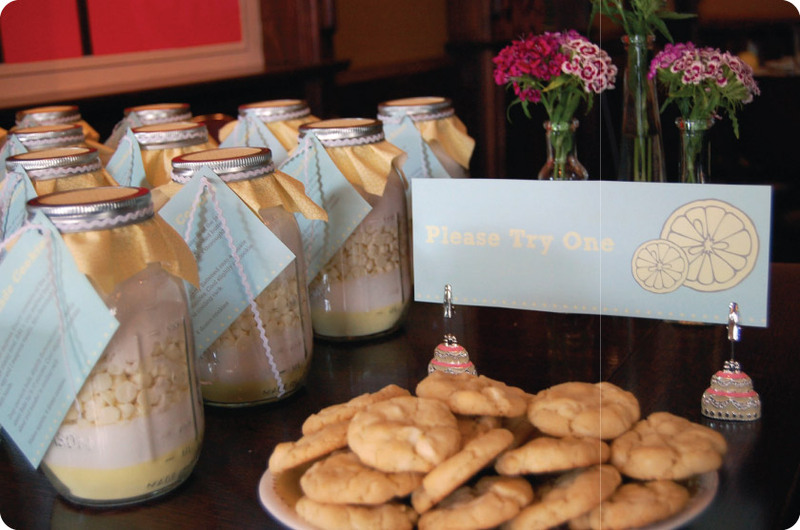 Each guest was given a mason jar of ingredients along with a recipe to make lemonade cookies. A fresh batch of the lemonade cookies was placed on a small lemon plate for tasting before taking the jars home. Preheat oven to 350 degrees. Empty contents of jar into large mixing bowl. Add 1/2 C. melted butter. Add one egg and one teaspoon vanilla. Mix thoroughly with hands. Drop one-inch balls, slightly flattened, onto ungreased cookie sheet. Bake for 8-10 minutes. Cool slightly on cookie sheet then transfer to cooling rack. Makes approximately four dozen cookies. For extra lemon flavor, add the zest of a small lemon to the batter. 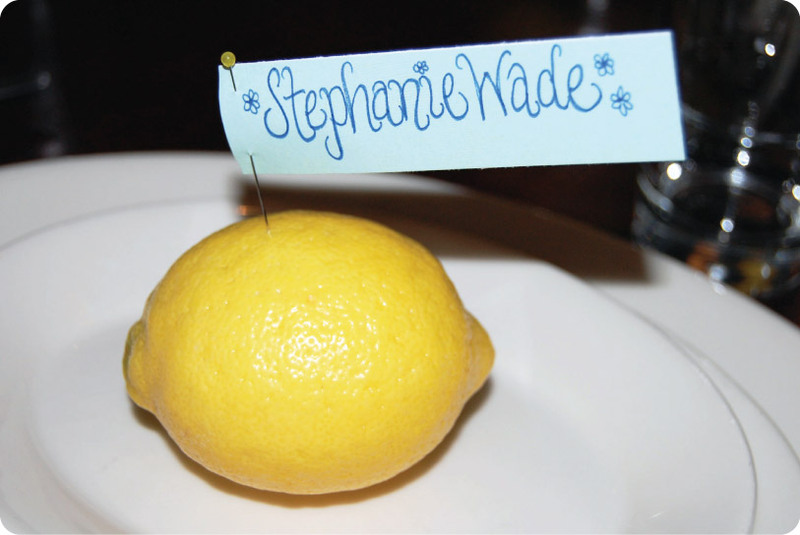 We told our guests to take their lemon name tag home to use it for the recipe! 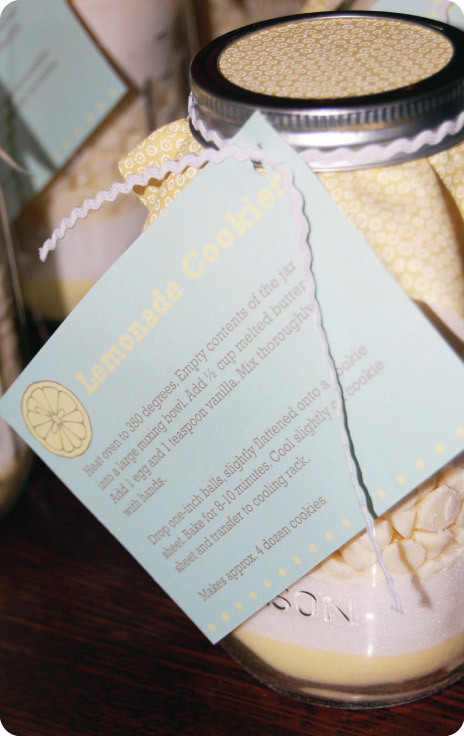 Kate loved her lemon shower and we look forward to a beautiful September wedding! Definitely a fun idea! 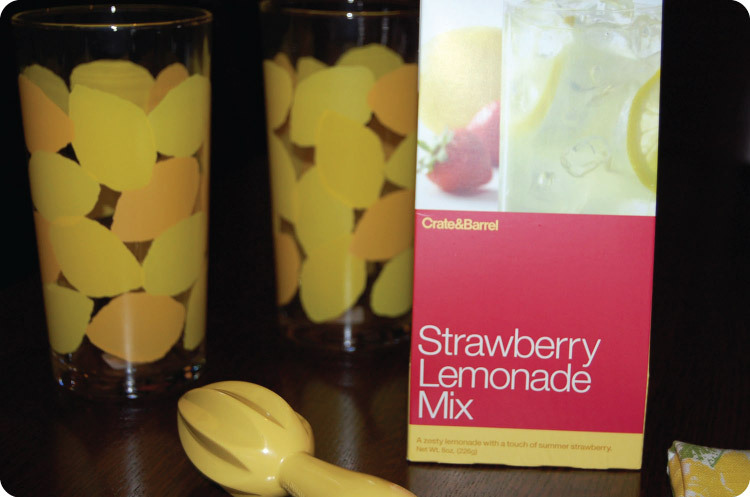 Love the jars of lemonade cookie mix! Thank you so much – I absolutely loved it!!!! What a beautiful shower! I really love the lemon theme. Love this idea! I have a bridal shower to organize and I’m planning on using the jar idea. I made the cookies tonight and they are delicious but extremely sweet. A bit too sweet. I might cut some of the sugar out next time.